Keeping your elevator, escalator or moving walk functioning at its peak requires regular maintenance and occasional repairs. At thyssenkrupp we pride ourselves on being the best at keeping people moving from one place to the next: smoothly, stylishly and safely. We’ve got the tech, the talent and the training that’s needed to keep people moving. We deliver service in a way that is smarter, stress-free and systematic, so everything’s as painless as possible for you and your building’s tenants. 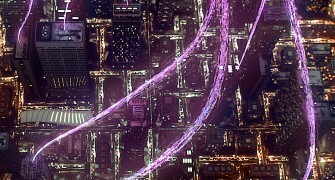 Intelligent tools give our network of engineers the know-how to keep things moving. Our team know how to make your maintenance problems go away. Every engineer is highly trained to know how to do a great job: on time, every time. We offer service packages based on a clear understanding of our customers’ needs. These service agreements are easy to understand so you can focus on selecting the right package to suit your requirements. Platinum level coverage is the long term solution that virtually eliminates all unbudgeted expenses by including both labour and components required to keep your equipment in optimal condition. Gold level coverage offers our systematic maintenance program and includes all minor component replacements. Silver level coverage offers an economical solution that ensures systematic maintenance checks are carried out. Bronze level coverage is a limited package that provides basic service for buildings that require minimal supervision. Through our global thyssenkrupp network, we provide cost-effective, reliable and energy-efficient solutions to prolong the life of your elevators and escalators. 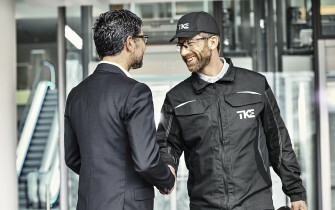 At thyssenkrupp Elevator, we deliver outstanding service, day after day, around the clock. 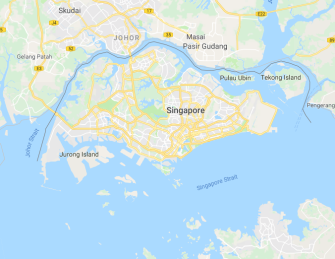 Every one of our service technicians draws on the expertise and capabilities of our International Technical Services (ITS) network, which brings together the knowledge and experience of all our specialists worldwide. From technical know-how to spare parts supply, ITS support is what makes our service globally unique. Our ITS specialists provide our service technicians with continuous training. 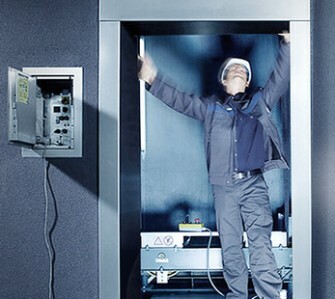 This ensures that our technicians are familiar with all elevator systems, the latest technologies and the best solutions to swiftly resolve all types of technical issues. We offer full service for all major elevator manufacturers. You can count on us to provide top-class support for all kinds of elevator systems. We’re your one-stop service shop. We’re always up to speed. Thanks to the ITS network, thyssenkrupp technicians are constantly updating their knowledge of our competitors’ equipment and familiarising themselves with the latest technical information. We use cutting-edge diagnostic tools. 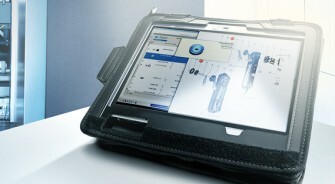 Diagnostic tools developed by ITS enable our technicians to resolve technical issues swiftly. Thanks to state-of-the-art software developed in-house, our technicians can easily interface with other manufacturers’ control systems. We’re always ready for action. Elevators are in motion 24 hours a day, 7 days a week, which is why you need to be able to rely on a service team that’s on call around the clock. When required, ITS engineers will even come to you to solve the problem together with a local service technician. We carry out rapid replacements. ITS not only has a large stock of spare parts from all major elevator manufacturers, it also boasts a team of highly qualified repair technicians. From procuring rare original parts to delivering crucial replacement components overnight, we get your elevator up and running again in no time at all. Our Service Web Portal is the place online where our Service customers can access any information about their equipment’s maintenance past, present and future. It makes sure you’re always in the know about what work’s been carried out, the status of your equipment, upcoming planned maintenance, response times and much more. Know What maintenance issues are happening Reporting tools to help Building Managers keep stakeholders informed about what’s happening. Know Who is coming to help See which of our expert Team Service engineers are visiting – and their specialist skills. Know Where support is needed next View equipment operating and service status across your whole portfolio, 24 hours a day, in your local language. Know When solutions are delivered. Get alerted when things go wrong, see what time help will arrive, and view full service history once everything’s been fixed. We understand that the safe and reliable operation of your elevators and escalators is critical to your building. That’s why we constantly tracks service delivery using a real time field operations system, VIEW. VIEW enables us to take proactive measures to keep your equipment safe and reliable. The way your elevators look, how smooth they run, how fast they answer calls, and how often they’re out of service: All facts which help or hurt your building’s reputation and marketability. Our Re|new options allows you to keep your equipment up-to-date without the need for a full-scale replacement or a big modernization project. Regardless of the age of your equipment, our tailor-made solutions designed to meet your precise needs and enhance the value of your building. Our goal is to dramatically increase efficiency, raise elevator uptimes and speed up service interventions to ensure mobility equipment is always running as it should. 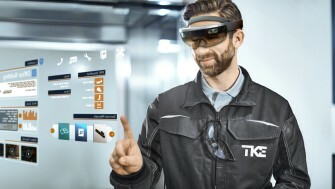 By harnessing the power of the Internet of Things with solutions like MAX and HoloLens, thyssenkrupp is stepping further into the digital era and transforming the way the elevator industry offers maintenance services. Wouldn’t it be great to have fewer elevator breakdowns, quicker service visits, and know in advance about any significant expenditure on your elevators? thyssenkrupp’s MAX, the industry’s first real-time, cloud-based predictive maintenance solution, is making this a reality. With MAX as their digital-age partner, our service engineers will soon be able to preemptively address equipment issues, empowering them to serve you better. Visit our MAX microsite to learn more. Blending 3D holographic content with the physical world, Microsoft’s mixed-reality HoloLens devices will soon enable our engineers to take service interventions to the next level. With HoloLens, they can visualize and identify problems with elevators ahead of a job, and have remote, hands-free access to expert advice when on site, resulting in significant savings in time and stress. 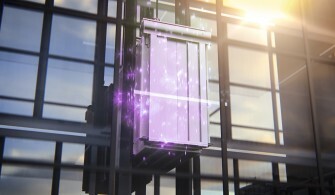 Introducing MAX, the elevator industry’s first real-time, cloud-based predictive maintenance solution.